Chancellor of the Exchequer George Osborne has announced he is no longer aiming to restore government finances to a surplus by 2020, and further that the very concept of financial success is built on a “house of sand-based nonsense” supported by “the blind” to bring “false meaning to an ultimately meaningless existence”. Mr Osborne, 45, had previously cited the surplus target as the primary motivator behind austerity measures which have hit the lower echelons of society, but now claims that one can “only find cosmic hilarity going down that street, or crossing it, or even thinking about it as real”. Osborne added: “Before, as a party, we were very much of the mind that if the people of Britain pulled together, we could bring our economy to a position of growth and even decadence. “Then recently I realised that the very idea that growth is a good thing is entirely subjective. “Michael Gove is obviously a frontrunner, but really he’s just a man pursuing the idea of a Michael Gove, he isn’t really a Michael Gove in anything other than name. “He’s just an artificial construct who wants to expand on the idea of a Michael Gove by coalescing the idea with being leader of a political party, which itself is an artifice. 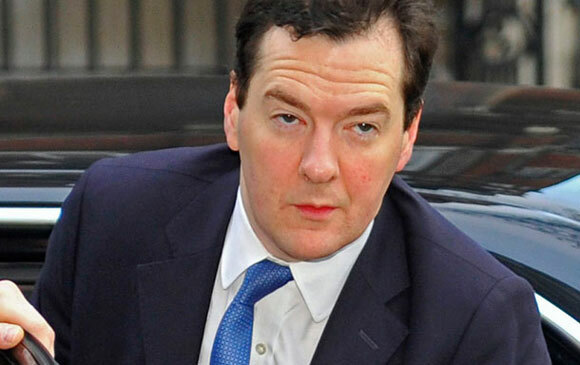 Mr Osborne has been criticised for his recent bouts of paranoia and existential dread. Having served as Chancellor since May 2010, Mr Osborne’s policies and approaches towards reducing the UK’s deficit have been criticised for penalising the poor, while his general absence in the wake of the referendum for the UK leaving the EU has been noted by several political pundits and journalists. Noted Westminster insider Richard Hamwand went on record this week in claiming that Mr Osborne had spent the period during and immediately after the ‘Brexit’ vote with “a bag of ket and some Nietzsche”, adding further weight to the widespread belief that his narcotic foibles have begun to infringe on his abilities to perform as Chancellor. After refusing to directly refute these claims, Mr Osborne said: “My capabilities in regards to my position are as strong as anyone else’s, which is to say they’re moot. “Have you ever done this job before? It’s mad. I can put tax on anything, like sugar or tampons. “I can change a number on a Microsoft Excel document from seven to one and people get hungry. “And none of it, even the really bad stuff, matters. “It’s all a fiction we tell ourselves is important as we scramble around trying to find meaning for our silly, pointless little lives. Asked to speak on the subject of the centenary of the Battle of the Somme, Mr Osborne replied: “Time is a man-made concept, and war is itself arbitrary violence. “The two of them coming together is a stew of mankind’s hubris, and for me proves that we’re insane and deluded monkeys flying through space on a big blue and green comet, headed for annihilation.